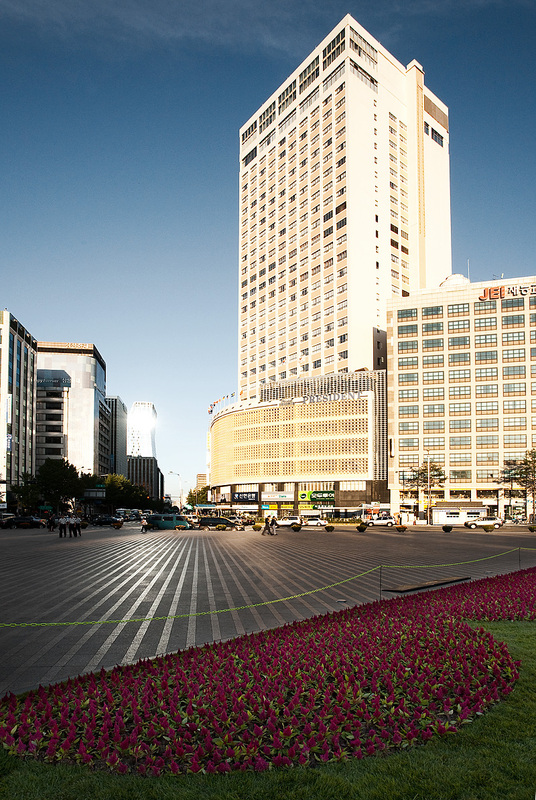 A photo from Seoul Plaza, in front of city hall, looking west. The capitol of Korea isn't renowned for its unforgettable skyline or magnificent buildings but somehow the architecture comes together, a near-perfect example that the whole can be greater than the sum of its parts. 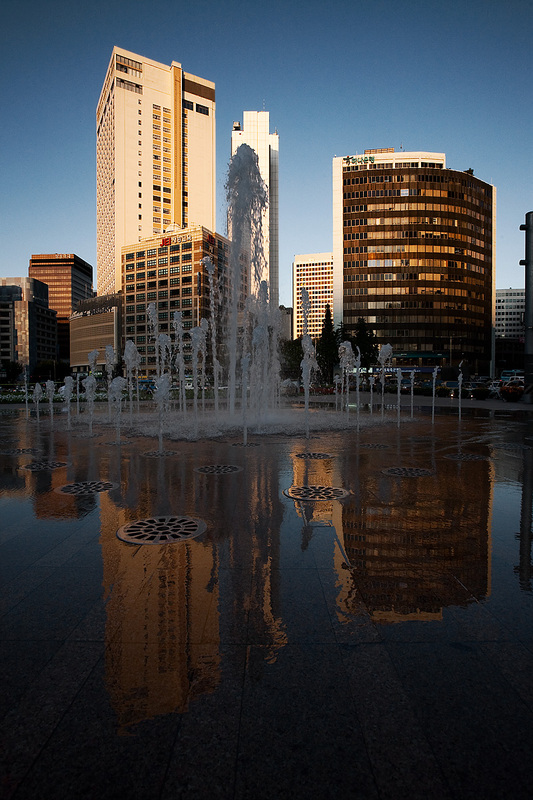 A sneaky fountain at the corner of Seoul Plaza. Surely some pedestrians have been caught in an unplanned shower while walking over the circular grates. When the fountain is dormant, the grates simply appear to be for the purpose of drainage. My shutter finger itches in anticipation of such an event! In more important news, I currently have access to a loaned Canon 5D Mark II. I'm as excited as a little school boy to give this guy a good workout in and around my usual haunts. If you're around Seoul plaza (afternoon of the 22nd) and see a crazed Korean man with feral hair, filthy and running amok with an unstable look in his eye, that's probably not me. But the guy taking pictures of him with the ear to ear grin holding a 5D Mark II... that's me.